The roots of Pink Floyd began when Syd Barrett was rooming in London with Roger Waters in 1964, and Barrett and Waters formed a band with Nick Mason. The group had numerous name evolutions but was eventually changed to Pink Floyd in honor of blues performers Pink Anderson and Floyd Council. Pink Floyd performed for the first time in London. Rick Wright joined the group. Pink Floyd signed with EMI Records. The group released various singles over the year and continued performing around the world and in the US. Also throughout the year, Barrett began exhibiting his eventual trademark bizarre behaviors. Pink Floyd released Piper At The Gates Of Dawn. Barrett's inability to play led to David Gilmour replacing him. By April, Barrett had officially left the group. Pink Floyd released Saucerful Of Secrets. Pink Floyd released Atom Heart Mother. Atom Heart Mother topped the UK LP charts. Pink Floyd released Obscured By Clouds. Pink Floyd released Dark Side Of The Moon and hit the pop charts with "Money." The LP went on to spend 741 weeks (over 14 years) on the Billboard Top 200 Album chart (breaking Carole King's longevity award with Tapestry). Dark Side Of The Moon topped the Billboard Albums chart for a week. The 1969 LP More was released - as was A Nice Pair (which includes the LPs Piper At The Gates Of Dawn and Saucerful Of Secrets). Pink Floyd released Wish You Were Here with the tribute to Barrett, "Shine On You Crazy Diamond." December 3: The 40 foot inflatable pig being photographed for Pink Floyd's next LP Animals broke free from its moorings and floated above London eventually crashing into a barn and resulting in air traffic warnings. Pink Floyd released the double-LP The Wall. Pink Floyd hit the Top 40 with "Another Brick In The Wall, Part 2." Pink Floyd hit the Top 10 and #1 for 3 weeks with "Another Brick In The Wall, Part 2." Pink Floyd topped the Billboard Hot 100 Singles chart for 4 weeks with "Another Brick In The Wall, Part 2." Pink Floyd hit the Top 40 with "Run Like Hell." Pink Floyd topped the Billboard Year-End Charts as the Top Pop Artist - Duo/Group (singles & albums), Top Billboard 200 Album Artist, Top Billboard 200 Album Artist - Duo/Group, and Top Billboard 200 Album (The Wall). Pink Floyd were nominated for an American Music Award for Favorite Pop/Rock Single ("Another Brick In The Wall, Part 2"). Pink Floyd were nominated for 2 Grammy Awards for Album of the Year and Best Rock Vocal Performance by a Duo or Group (The Wall). A Collection Of Great Dance Songs was released. Pink Floyd released The Final Cut. Pink Floyd's Dark Side Of The Moon broke a longevity record when it charted its 491st week on Billboard's LP chart. Waters officially left Pink Floyd. A press release issued stated that the group will be recording a new LP as Pink Floyd without Roger Waters. Water's issued his own statement through his lawyer proclaiming himself to be an integral portion of Pink Floyd, and any use of the group's name without his involvement would be inappropriate. Pink Floyd (Gilmour, Mason and Wright) released A Momentary Lapse Of Reason. Remaining Pink Floyd members and Waters agreed to end their legal dispute. The video for "Learning To Fly" won a MTV Video Music Award for Best Concept Video and was nominated for Best Direction and Best Cinematography. Pink Floyd released the live LP Delicate Sound Of Thunder. Waters filed a claim against Pink Floyd for illegal use of an inflatable pig during a recent tour which was deemed a breach of copyright. Pink Floyd were nominated for a Grammy Award for Best Music Video, Long Form (In Concert - Delicate Sound Of Thunder). Pink Floyd performed at the Knebworth Festival. Waters staged a live concert of 'The Wall' with numerous guest vocalists in Berlin. Pink Floyd hit the Top 40 with "Learning To Fly." The box set Shine On was released. Pink Floyd released The Division Bell. Pink Floyd topped the Billboard Album Rock Tracks chart for 6 weeks with "Keep Talking." The Division Bell topped the Billboard Pop Albums chart for 4 weeks. Pink Floyd were nominated for an American Music Award for Favorite Pop/Rock Band/Duo/Group. Pink Floyd won a Grammy Award for Best Rock Instrumental Performance ("Marooned"). Pink Floyd released the live LP Pulse. Pulse topped the Billboard Pop Albums chart for a week and the UK Albums chart for 2 weeks. Pink Floyd were inducted into the Rock & Roll Hall of Fame. Rock 'N Roll Hall Of Fame's 500 Songs That Shaped Rock And Roll includes "Another Brick In The Wall (Part 2)," "Money," and "See Emily Play." A lot of press was given to the uncanny connection between The Wizard Of Oz and Pink Floyd's Dark Side Of The Moon. For those who didn't know, if you start Pink Floyd's CD after the 3rd trademark MGM Lion roar at the beginning of the movie, you'll be amazed at the synchronicity between the 2 classics. Unreleased material from Jerry Garcia (Grateful Dead) and Pink Floyd was made available with the release of a new soundtrack to a 1970 film, Zabriskie Point. The double-LP featured 4 songs each from Garcia and Pink Floyd. Pink Floyd ranked # 19 on VH1: Greatest Artists of Rock & Roll (and # 4 on Rock On The Net's Poll). A live LP recorded in the early 80s, Is There Anybody Out There? The Wall Live was released. The LP contains all tracks from The Wall and 2 tracks deleted from the original release: "What Shall We Do Now?" and "The Last Few Bricks." Is There Anybody Out There? The Wall Live topped the Billboard Internet Album Sales chart for 1 week in May. VH1: 100 Greatest Artists of Hard Rock includes Pink Floyd at # 15. VH1: 100 Greatest Albums includes Dark Side Of The Moon at # 51. A Collection Of Great Dance Songs was certified 2x platinum and A Momentary Lapse Of Reason was certified 4x platinum. The single "Another Brick In The Wall (Part 2)" was certified gold. Another hits compilation was released - Echoes: The Best Of Pink Floyd. Echoes: The Best Of Pink Floyd topped the Billboard Internet Albums Sales chart for 2 weeks. Echoes: The Best Of Pink Floyd was certified 2x platinum. Echoes: The Best Of Pink Floyd was certified 3x platinum. VH1: 100 Best Songs of the Past 25 Years includes "Another Brick In The Wall (Part 2)" at # 15. Rolling Stone: The 500 Greatest Albums of All Time: # 43: Dark Side Of The Moon, # 87: The Wall, # 209: Wish You Were Here, # 347: Piper At The Gates Of Dawn. On July 2nd, a reunited Pink Floyd with Roger Waters, David Gilmour, Nick Mason, and Richard Wright performed in London, England, as part of the worldwide Live 8 concerts. The mission of the concerts was to raise awareness of the on-going poverty in Africa and to pressure the G8 leaders to take action by doubling aid, canceling debt, and delivering trade justice for Africa. Syd Barrett, co-founder of Pink Floyd, died at the age of 60 in London from complications of of diabetes. On July 7th, Roger Waters performed at the Live Earth concert in the US. The 7-continent concert organized by Al Gore brought together over 100 artists to perform and raise the world's awareness about the climate crisis and how to make a difference to help the environment and the world. Echoes: The Best Of Pink Floyd was certified 4x platinum. The enitre discography of Pink Floyd was released in a 16-CD box set called Oh By The Way (box set). Rick Wright died at the age of 65 after a battle with cancer. The Dark Side Of The Moon - Immersion Box Set was released with the original LP digitally remastered, a live disc of the LP performed at Wembley in 1974, and 2 DVDs. The Discovery Studio Album Box Set was released. The set includes 14 remastered LPs. Wish You Were Here - The Immersion Box Set and Wish You Were Here - Experience Version were released. The compilation A Foot In The Door - The Best Of Pink Floyd was released. The Wall - The Immersion Box Set and The Wall - Experience Version were released. July 1: The Division Bell 20th Deluxe Box was released. November 10: Pink Floyd released The Endless River. November 22: Pink Floyd topped the UK LP charts with The Endless River. January 22: The Endless River was certified gold. November 11: The Early Years 1967-72 Cre/ation was released. 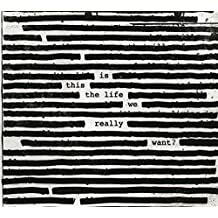 June 2: Roger Waters released Is This The Life We Really Want? Tracks: "Astronomy Domine" - "Lucifer Sam" - "Matilda Mother" - "Flaming" - "Pow R. Toc H." - "Take Up Thy Stethoscope And Walk" - "Interstellar Overdrive" - "The Gnome" - "Chapter 24" - "Scarecrow" - "Bike"
Tracks: "Let There Be More Light" - "Remember A Day" - "Set The Controls For The Heart Of The Sun" - "Corporal Clegg" - "A Saucerful Of Secrets" - "See-Saw" - "Jugband Blues"
Tracks: "Astronomy Domine" - "Careful With That Axe, Eugene" - "Set The Control For The Heart Of The Sun" - "A Saucerful Of Secrets" - "Sysyphus: Part One" - "Sysyphus: Part Two" - "Sysyphus: Part Three" - "Sysyphus: Part Four" - "Grantchester Meadows" - "Several Species Of Small Furry Animals Gathered Together In A Cave And Grooving With A Pict" - "The Narrow Way: Part One" - "The Narrow Way: Part Two" - "The Narrow Way: Part Three" - "The Grand Vizier's Garden Party: Part One (Entrance)" - "The Grand Vizier's Garden Party: Part Two (Entertainment)" - "The Grand Vizier's Garden Party: Part Three (Exit)"
Tracks: "Atom Heart Mother: Father's Shout / Breast Milky / Mother Fore / Funky Dung / Mind Your Throats Please / Reemergence" - "If" - "Summer '68" - "Fat Old Sun" - "Alan's Psychedelic Breakfast: Rise And Shine / Sunny Side Up / Morning Glory"
Tracks: "Arnold Layne" - "Interstellar Overdrive" - "See Emily Play" - "Remember A Day" - "Paintbox" - "Julia Dream" - "Careful With That Axe, Eugene" - "Cirrus Minor" - "The Nile Song" - "Biding My Time" - "Bike"
Tracks: "One Of These Days" - "A Pillow Of Winds" - "Fearless" - "San Tropez" - "Seamus" - "Echoes"
Tracks: "Obscured By Clouds" - "When You're In" - "Burning Bridges" - "The Gold It's In The..." Wots... Uh The Deal" - "Mudmen" - "Childhood's End" - "Free Four" - "Stay" - "Absolutely Curtains"
Tracks: "Speak To Me / Breathe" - "On The Run" - "Time" - "The Great Gig In The Sky" - "Money" - "Us And Them" - "Any Colour You Like" - "Brain Damage"- "Eclipse"
Tracks: "Cirrus Minor" - "The Nile Song" - "Crying Song" - "Up The Khyber" - "Green Is The Colour" - "Cymbaline" - "Party Sequence" - "Main Theme" - "Ibiza Bar" - "More Blues" - "Quicksilver" - "A Spanish Piece" - "Dramatic Theme"
Tracks: "Astronomy Domine" - "Lucifer Sam" - "Matilda Mother" - "Flaming" - "Pow R. Toc H." - "Take Up Thy Stethoscope And Walk" - "Interstellar Overdrive" - "The Gnome" - "Chapter 24" - "Scarecrow" - "Bike" - "Let There Be More Light" - "Remember A Day" - "Set The Controls For The Heart Of The Sun" - "Corporal Clegg" - "A Saucerful Of Secrets" - "See-Saw" - "Jugband Blues"
Tracks: "Shine On You Crazy Diamond (Part One)" - "Welcome To The Machine" - "Have A Cigar" - "Wish You Were Here" - "Shine On You Crazy Diamond (Part Two)"
Tracks: "Pigs On The Wing 1" - "Dogs" - "Pigs (Three Different Ones)" - "Sheep" - "Pigs On The Wing 2"
Tracks: "In The Flesh?" - "The Thin Ice" - "Another Brick In The Wall, Part 1" - "The Happiest Days Of Our Lives" - "Another Brick In The Wall, Part 2" - "Mother" - "Goodbye Blue Sky" - "Empty Spaces" - "Young Lust" - "One Of My Turns" - "Don't Leave Me Now" - "Another Brick In The Wall, Part 3" - "Goodbye Cruel World" - "Hey You" - "Is There Anybody Out There?" - "Nobody Home" - "Vera" - "Bring The Boys Back Home" - "Comfortable Numb" - "The Show Must Go On" - "In The Flesh" - "Run Like Hell" - "Waiting For The Worms" - "Stop" - "The Trial" - "Outside The Wall"
Tracks: "One Of These Days" - "Money" - "Sheep" - "Shine On You Crazy Diamond" - "Wish You Were Here" - "Another Brick In The Wall, Part 2"
Tracks: "The Post War Dream" - "Your Possible Pasts" - "One Of The Few" - "The Hero's Return" - "The Gunners Dream" - "Paranoid Eyes" - "Get Your Filthy Hands Off My Desert" - "The Fletcher Memorial Home" - "Southampton Dock" - "The Final Cut" - "Not Now John" - "Two Suns In The Sunset"
Tracks: "One Of These Days" - "Arnold Layne" - "Fearless" - "Brain Damage" - "Eclipse" - "Set The Controls For The Heart Of The Sun" - "See Emily Play" - "Several Species Of Small Furry Animals Gathered Together In A Cave And Grooving With A Pict" - "Free Four" - "Embryo"
Tracks: "Signs Of Life" - "Learning To Fly" - "The Dogs Of War" - "One Slip" - "On The Turning Away" - "Yet Another Movie" - "Round And Around" - "A New Machine (Part 1)" - "A New Machine (Part 2)" - "Sorrow"
Live Tracks: "Shine On You Crazy Diamond" - "Learning To Fly" - "Yet Another Movie" - "Round And Round" - "Sorrow" - "Dogs Of War" - "On The Turning Away" - "One Of These Days" - "Time" - "Wish You Were Here" - "Us And Them" - "Money" - "Another Brick In The Wall, Part 2" - "Comfortably Numb" - "Run Like Hell"
Tracks: "Arnold Layne" - "Candy And A Currant Bun" - "See Emily Play" - "Scarecrow" - "Apples And Oranges" - "Paint Box" - "It Would Be So Nice" - "Julia Dream" - "Point Me At The Sky" - "Careful With That Axe Eugene" - "In The Flesh?" - "The Thin Ice" - "Another Brick In The Wall, Part 1" - "The Happiest Days Of Our Lives" - "Another Brick In The Wall, Part 2" - "Mother" - "Goodbye Blue Sky" - "Empty Spaces" - "Young Lust" - "One Of My Turns" - "Don't Leave Me Now" - "Another Brick In The Wall, Part 3" - "Goodbye Cruel World" - "Pigs On The Wing (1)" - "Dogs" - "Pigs (Three Different Ones) - "Sheep" - "Pigs On The Wing (2)" - "Since On You Crazy Diamond" - "Welcome To The Machine" - "Have A Cigar" - "Wish You Were Here" - "Speak To Me" - "Breathe" - "On The Run" - "Time" - "The Great Gig In The Sky" - "Money" - "Us And Them" - "Any Colour You Like" - "Brain Damage" - "Eclipse" - "Signs Of Life" - "Learning To Fly" - "The Dogs Of War" - "One Slip" - "On The Turning Away" - "Yet Another Movie" - "Round And Round" - "A New Machine (Part 1)" - "Terminal Frost" - "A New Machine (Part 2)" - "Sorrow" - "Hey You" - "Is There Anybody Out There?" - "Nobody Home" - "Vera" - "Bring The Boys Back Home" - "Comfortably Numb" - "The Show Must Go On" - "In The Flesh" - "Run Like Hell" - "Waiting For Worms" - "Stop" - "The Trial" - "Outside The Wall" - "One Of These Days" - "A Pillow Of Winds" - "Fearless" - "San Tropez" - "Seamus" - "Echoes" - "Let There Be More Light" - "Remember A Day" - "Set The Controls For The Heart Of The Sun" - "Corporal Clegg" - "A Saucerful Of Secrets" - "See-Saw" - "Jugband Blues"
Tracks: "Cluster One" - "What Do You Want From Me" - "Poles Apart" - "Marooned" - "Great Day For Freedom" - "Wearing The Inside Out" - "Take It Back" - "Coming Back To Life" - "Keep Talking" - "Lost For Words" - "High Hopes"
Live Tracks: "Shine On You Crazy Diamond" - "Astronomy Domine" - "What Do You Want From Me" - "Learning To Fly" - "Keep Talking" - "Coming Back To Life" - "Hey You" - "A Great Day For Freedom" - "Sorrow" - "High Hopes" - "Another Brick In The Wall, Part 2" - "Speak To Me" - "Breathe" - "On The Run" - "Time" - "The Great Gig In The Sky" - "Money" - "Us And Them" - "Any Colour You Like" - "Brain Damage" - "Eclipse" - "Wish You Were Here" - "Comfortably Numb" - "Run Like Hell"
Live Tracks: "Master Of Ceremonies" - "In The Flesh?" - "Thin Ice" - "Another Brick In The Wall, Part 1" - "Happiest Days Of Our Lives" - "Another Brick In The Wall, Part 2" - "Mother" - "Goodbye Blue Sky" - "Empty Spaces" - "What Shall We Do Now?" - "Young Lust" - "One Of My Turns" - "Don't Leave Me Now" - "Another Brick In The Wall, Part 3" - "Last Few Bricks" - "Goodbye Cruel World" - "Hey You" - "Is There Anybody Out There?" - "Nobody Home" - "Vera" - "Bring The Boys Back Home" - "Comfortably Numb" - "Show Must Go On" - "Master Of Ceremonies" - "In The Flesh" - "Run Like Hell" - "Waiting For The Worms" - "Stop" - "Trial" - "Outside The Wall"
Tracks: "Astronomy Domine" - "See Emily Play" - "The Happiest Day Of Our Lives" - "Another Brick In The Wall, Part 2" - "Echoes" - "Hey You" - "Marooned" - "The Great Gig In The Sky" - "Set The Controls For The Heart Of The Sun" - "Money" - "Keep Talking" - "Sheep" - "Sorrow" - "Shine On You Crazy Diamond (Parts 1-7)" - "Time" - "The Fletcher Memorial Home" - "Comfortably Numb" - "When The Tigers Broke Free" - "One Of These Days" - "Us And Them" - "Learning To Fly" - "Arnold Layne" - "Wish You Were Here" - "Jug Band Blues" - "High Hopes" - "Bike"
Tracks: "Hey You" - "See Emily Play" - "The Happiest Days Of Our Lives" - "Another Brick In The Wall, Pt. 2" - "Have A Cigar" - "Wish You Were Here" - "Time" - "The Great Gig In The Sky" - "Money" - "Comfortably Numb" - "High Hopes" - "Learning To Fly" - "The Fletcher Memorial Home" - "Shine On You Crazy Diamond" (Parts 1-5) - "Brain Damage" - "Eclipse"
Tracks: "Things Left Unsaid" - "It's What We Do" - "Ebb And Flow" - "Sum" - "Skins" - "Unsung" - "Anisina" - "The Lost Art Of Conversation" - "On Noodle Street" - "Night Light" - "Allons-y (1)" - "Autumn '68" - "Allons-y (2)" - "Talkin' Hawkin'" - "Calling" - "Eyes To Pearls" - "Surfacing" - "Louder Than Words"
Tracks: "Arnold Layne" - "See Emily Play" - "Matilda Mother" - "Jugband Blues" - "Paintbox" - "Flaming" (live) - "In The Beechwoods" - "Point Me At The Sky" - "Careful With That Axe, Eugene" - "Embryo" - "Ummagumma" - "Grantchester Meadows" (live) - "Cymbaline" (live) - "Interstellar Overdrive" (live) - "Green Is The Colour" (live) - "Careful With That Axe, Eugene" (live) - "On The Highway" - "Auto Scene Version 2" - "The Riot Scene" - "Looking At Map" - "Take Off" - "Embryo" (live) - "Atom Heart Mother" (live) - "Nothing, Pt. 14" - "Childhood's End" - "Free Four" - "Stay"